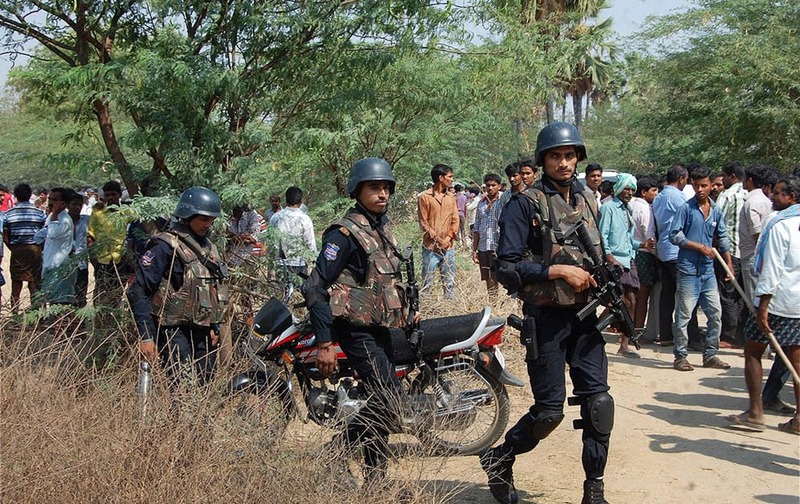 Commandos after the encounter with Suryapet shootout offenders at Janakipuram near Mothkuru mandal of Nalgonda district. 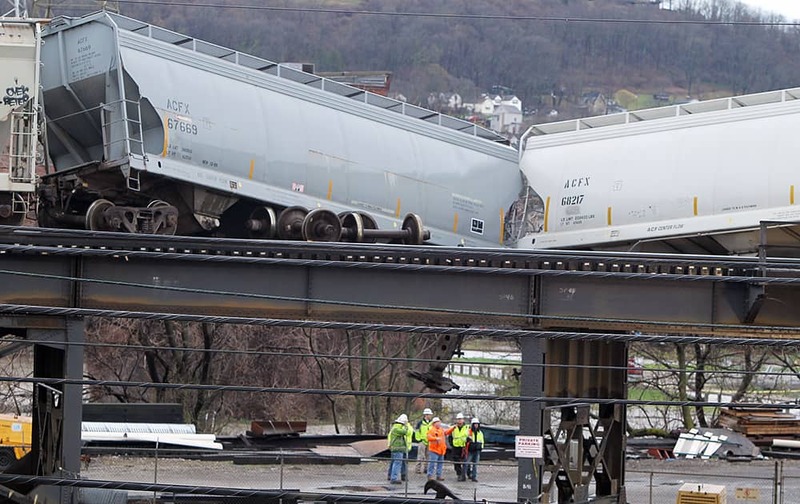 Both the assailants were killed in the encounter. 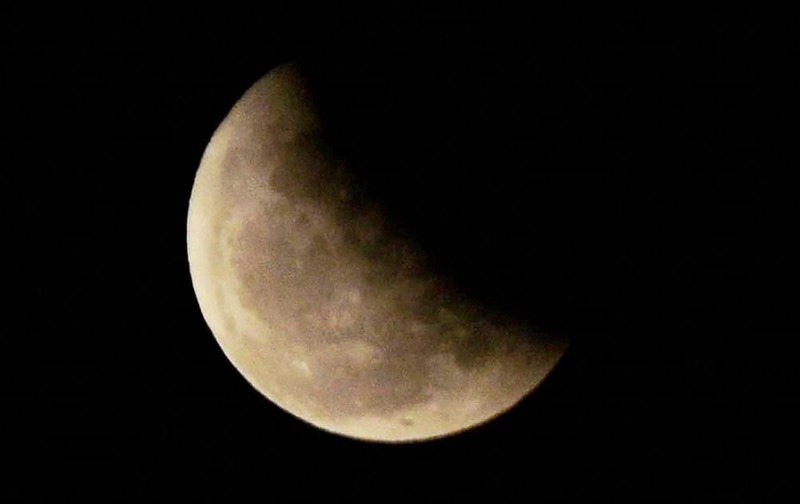 Lunar eclipse as is seen in Ranchi. 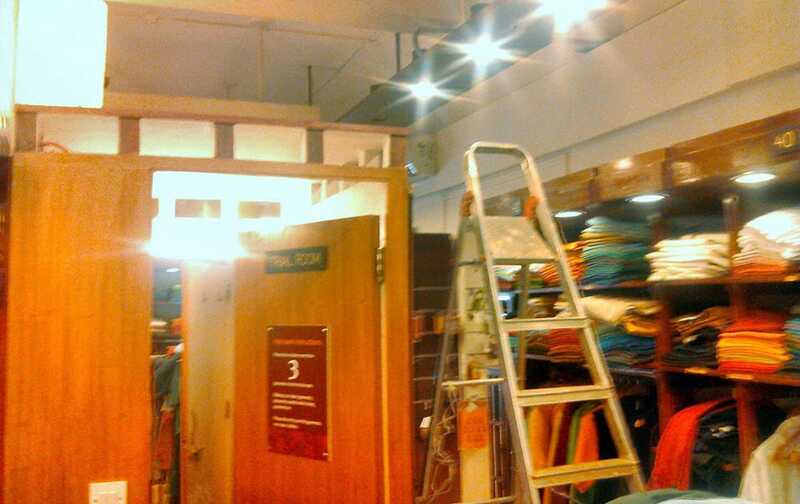 The trial room inside a showroom where HRD Mnister Smriti Irani found a camera installed, at Candolim, Goa. 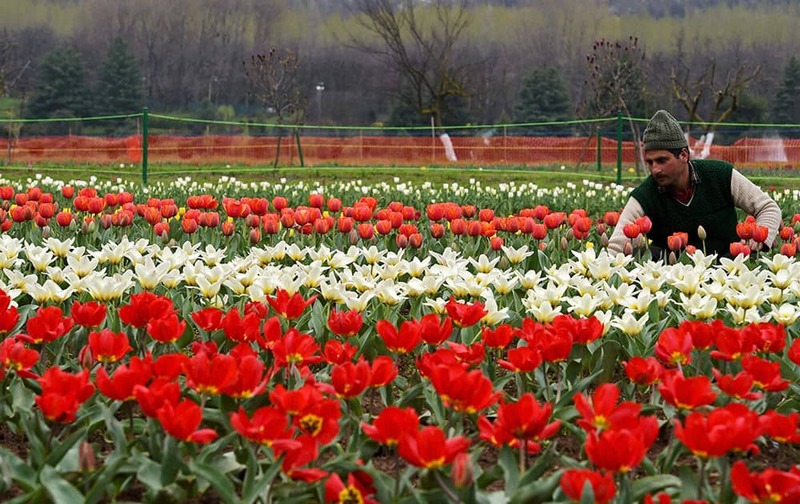 A gardener working in the Asias largest Tulip garden on the foot hills of Zabarwan in Srinagar. The garden will be thrown open to people and tourists on April 6, 2015. 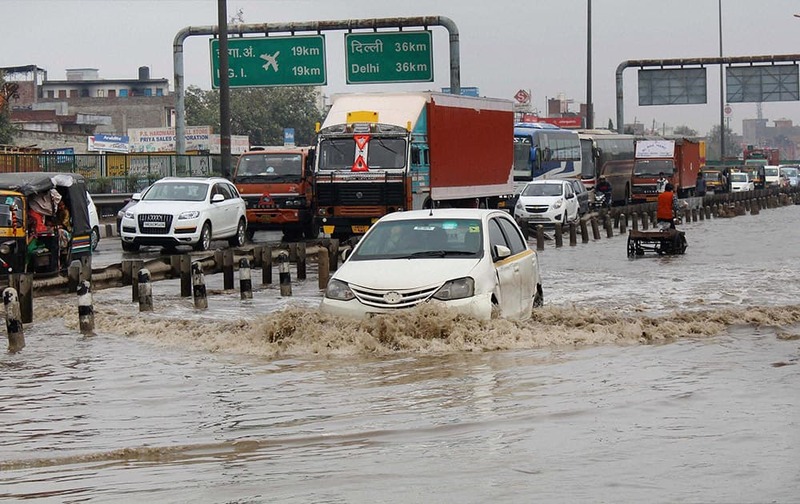 Vehicle moves through a water logged street after heavy rains in Gurgaon. 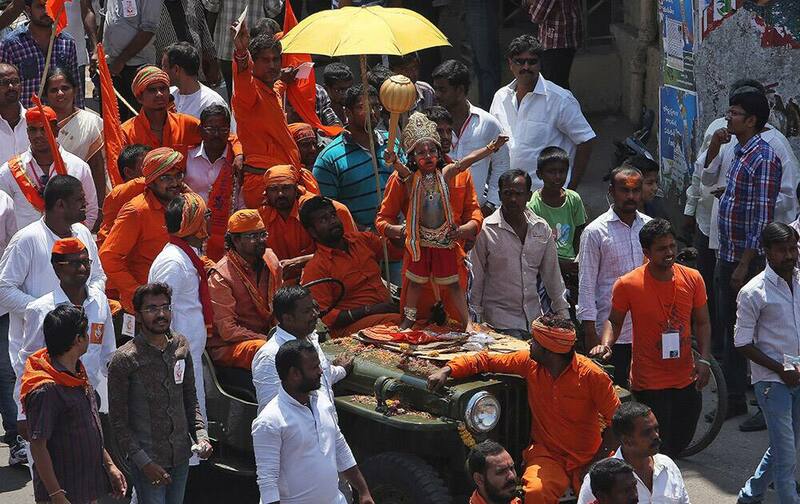 A Hindu boy, dressed as Hanuman, participates in a procession on Hanuman Jayanti in Hyderabad. 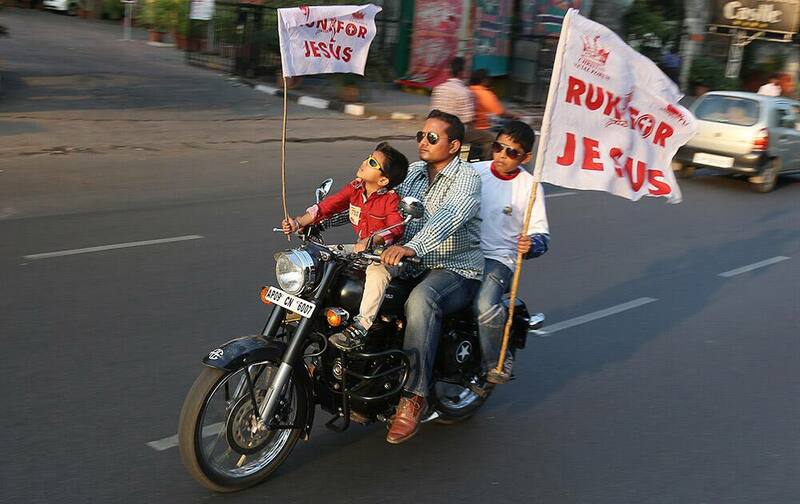 Christians participate in a ‘Run for Jesus’ rally on the eve of Easter Sunday in Hyderabad. 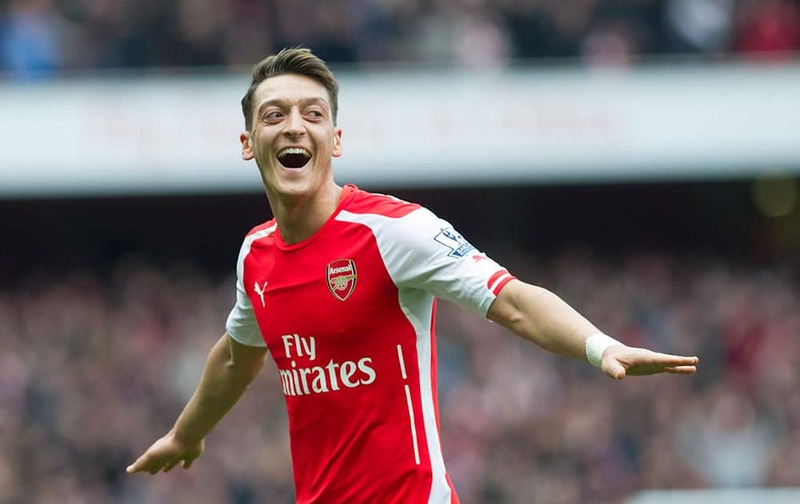 Arsenal's Mesut Özil celebrates after scoring against Liverpool during their English Premier League soccer match at Emirates Stadium, in London. Mahendra Singh Dhoni, his newly born daughter, and his wife Sakshi on their arrival at Birsa Munda International Airport at Hinoo in Ranchi. 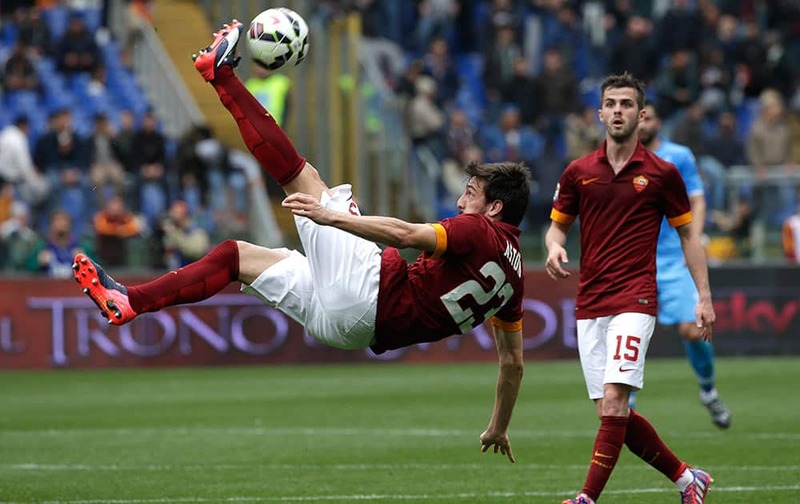 Roma's Davide Astori is airborne as he goes for an overhead kick during a Serie A soccer match between Roma and Napoli at Rome's Olympic stadium. 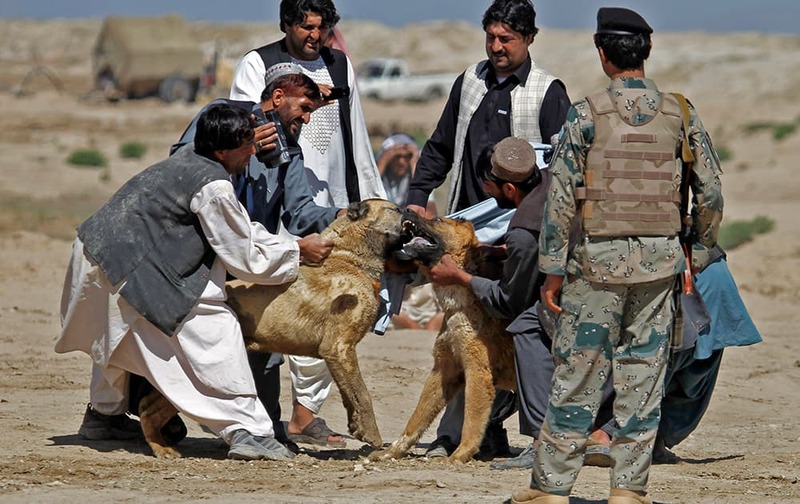 Owners separate their dogs at the end of a dogfight on the outskirts of Kandahar, south of Kabul, Afghanistan. 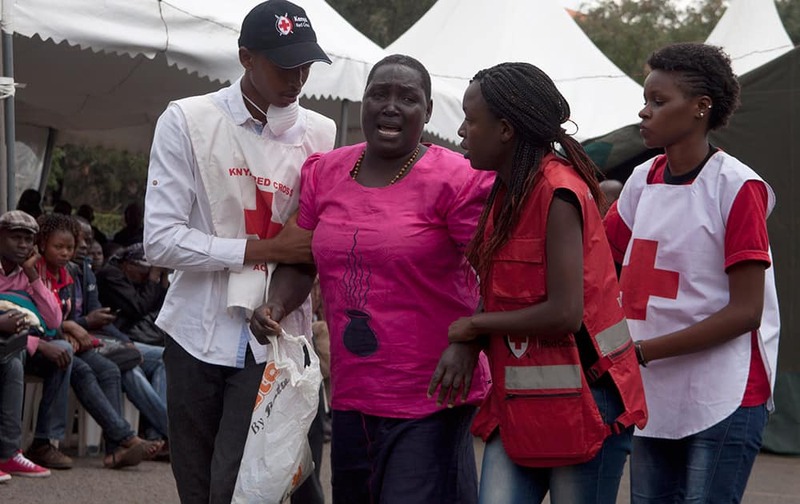 Red Cross staff console a woman after she viewed the body of a relative killed in Thursday's attack on a university, at Chiromo funeral home, Nairobi, Kenya. 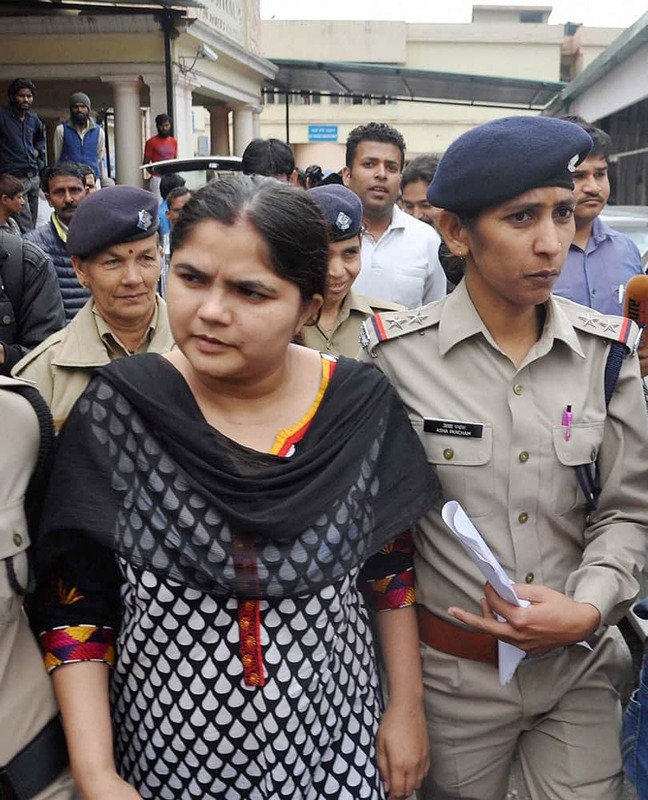 Ruby Chaudhary, arrested for impersonating as an IAS officer, is taken for medical check up. 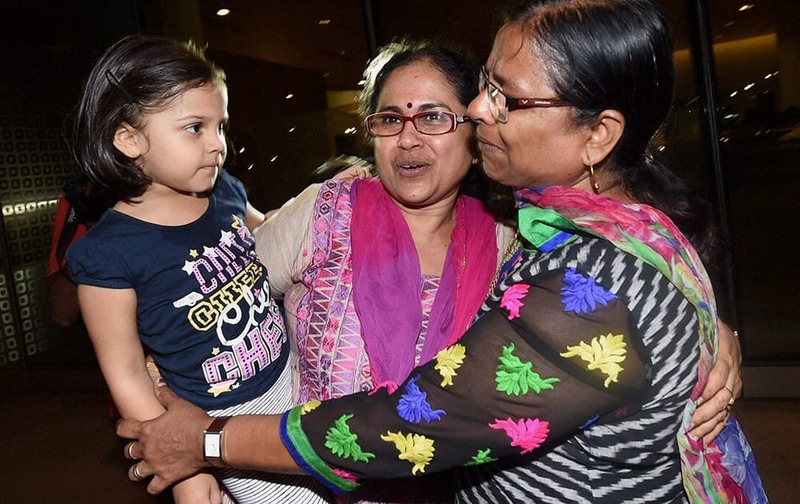 A relative receives one of the Indian nationals evacuated from Yemen, upon their arrival at the International Airport in Mumbai . Saina Nehwal returns a shot to China's Li Xuerui during their women's singles semifinal match at the Malaysia Open badminton tournament in Kuala Lumpur. Mumbai Indians owner Nita Ambani along with players during a practice session in Mumbai. Mariyan Asif Siddiqui, a class VI student won the first prize of an inter-school Bhagavad Gita competition Gita Champions League for explaining the teachings of the scripture in the best possible manner, organised by International Society for Krishna Consciousness (ISKCON) in Mumbai. Indian national and residents of Kolkata on their arrival at Howrah Station in Kolkata on Friday after they were evacuated from Al Hudaydah in Yemen. 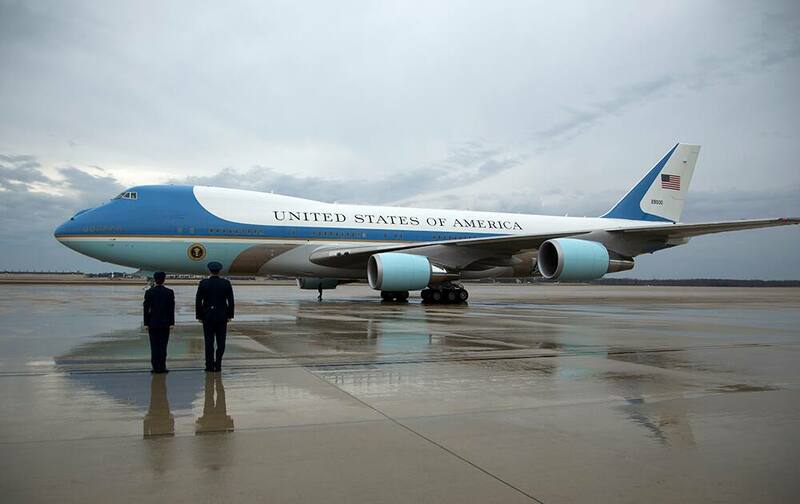 The Air Force One, with President Barack Obama aboard, taxis on tarmac of Andrews Air Force Base, Md., as it arrives from in the rain, a trip to Salt Lake City, Utah5. 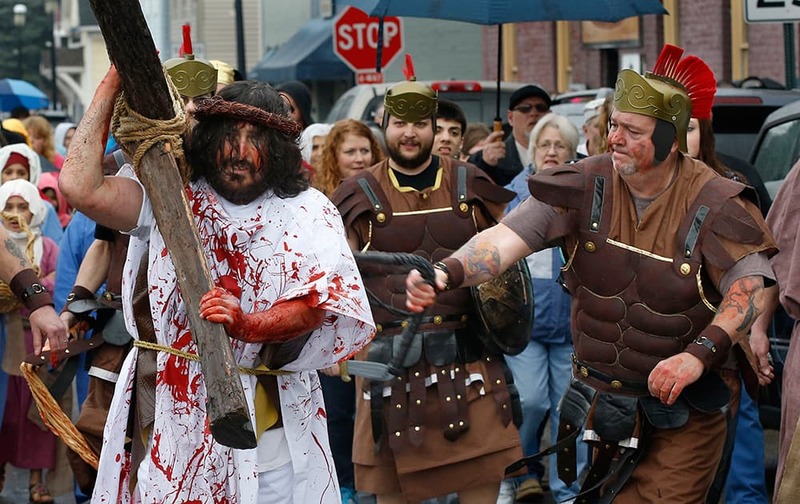 A volunteer from the Bridgewater Community Churches portraying a Roman Centurion, whips the man portraying Jesus as they perform a reenactment of the crucifixion of Jesus on Good Friday, in Bridgewater, Pa.
Workers look over the train derailment on elevated tracks, in Cincinnati.